It’s my first time to see sunflower that isn’t yellow. I saw these flowers inside Nusantara Flower Park (Cipanas, West Jawa, Indonesia). The red sunflower is very special as it doesn’t occur in the wild. 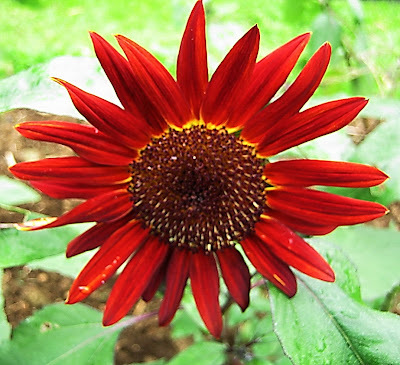 The red sunflower is a result of breeding flowers. That’s why they are so unique and dramatic (source:Wikipedia).